In 2005, the first of my two Scholastic books called Vocabulary Cartoon of the Day came out. Shortly after, a company called Educational Insights called me to ask if I would like to create a similar product, but in mini-poster form. Thus was begot a three-edition series called “Word of the Week,” each for a different (but overlapping) grade range. 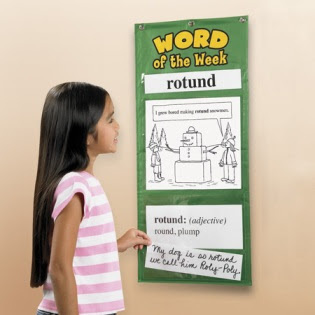 Like the cartoons in my Scholastic books, each Word of the Week cartoon contains a vocabulary word; to get the gag, you must learn the definition. The idea is to display one new cartoon a week for the entire school year. When supply allows, I give these packs out as thank yous to schools that invite me. It’s always a good sign to me when an educator or a school is willing to incorporate humor in education. We remember what we laugh at, so I feel it’s a smart tactic.